Lunarfurniture.com – In some areas, we can find houses which have large living room, but in this living room, we can see some family members have conversation each other while watching television on carpet or thin bed. For some people, they choice of combining the living room and family room can make the wide impression in the living room, but, because of this combined condition, the privacy for family members in having conversation among each other is diminished significantly. Commonly, some family members, especially those who are still young, they prefer to have better privacy, especially while they are watching television or having conversation with other family member, but, if there’s any visitor, they might be not enjoying that situation and prefer to go inside the bedroom. In order to keep the privacy, we must built partition between both rooms. Well, we don’t have to build the new wall which cost some money and time to make calculation of wall building. You can apply the simple partition to separate both rooms. It’s better for you to choose the not permanent room partition. The reason for this choice is if you want to build the permanent one, it might be that both of the living room and the family room will be look like small and narrow rooms. You also can damage some decorations and of course, you will spend some money to build the wall. 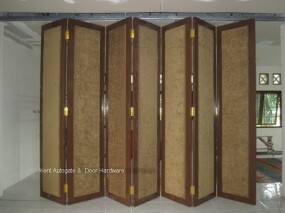 There are some item choices which you can apply as the room partition; some people apply the big buffet, but if you are smart, you can apply the jalousie, which is a kind of folding board and has an ornament which can be established anytime, curtain, or even folded doors which has rail or folded anytime. By applying the non-permanent partition, it is easy to open up the partition and combine the living room and family room again, especially when the guests who visit is a lot and need more room to receive them.